This Sunday marks the Baltimore Ravens’ home opener against the undefeated Cincinnati Bengals, and what better way to welcome back our Birds than catching up with Quoth the Raven. 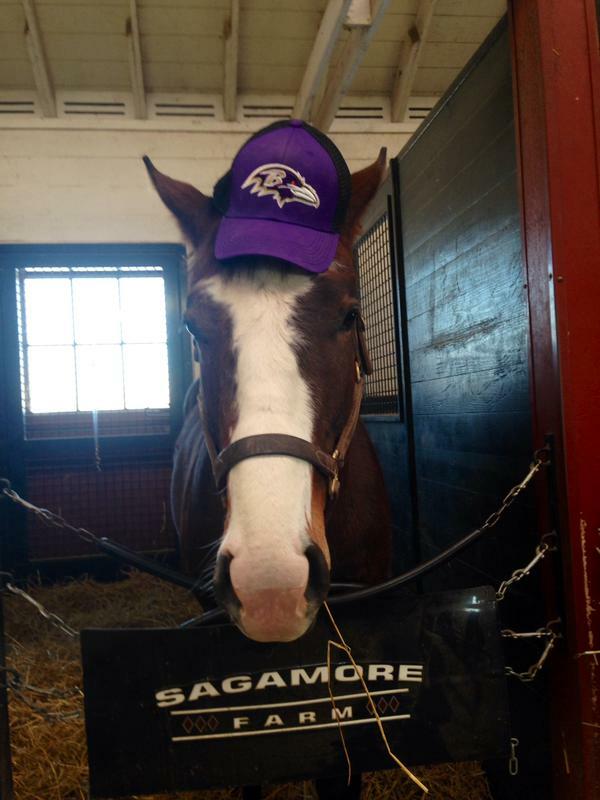 Born during the Ravens’ Super Bowl XLVII victory, the colt by Include, out of Dictate the Tempo, by Dixie Union, received his name as part of Sagamore Racing’s 2nd Annual Naming Contest. Now a two-year-old gelding, Quoth the Raven continues to workout at Pimlico Race Course, having breezed through his recent four furlong training sessions this past month. After facing tough losses in their first two games, the Ravens are in need of some good luck vibes from Quoth the Raven to swing them back into their winnings ways!